By Jitendra S. Mudhol, CollaMeta. First started in 2015, the Open Data Science Conference (better known as the ODSC) has now blossomed into a one of the top ten Data Science Conferences in a year (by various compilations). This year, the ODSC West was held at the Hyatt Regency San Francisco Airport, from November 2 to 4. Sheamus McGovern, the ODSC Chair and his team pulled in business executives and engineers to a packed and sold-out event. An event of this magnitude comes together with a ton of planning and working together. I am, attempting here, to give you a snapshot tour of what I experienced. ODSC Team is working hard to get the videos ready. Here’s the link to their channel on YouTube where you can see recordings from their previous events. The tech-focused piled into eleven premium training sessions that kicked off in parallel to the Accelerate AI event which was the new one-day format for the business folks. 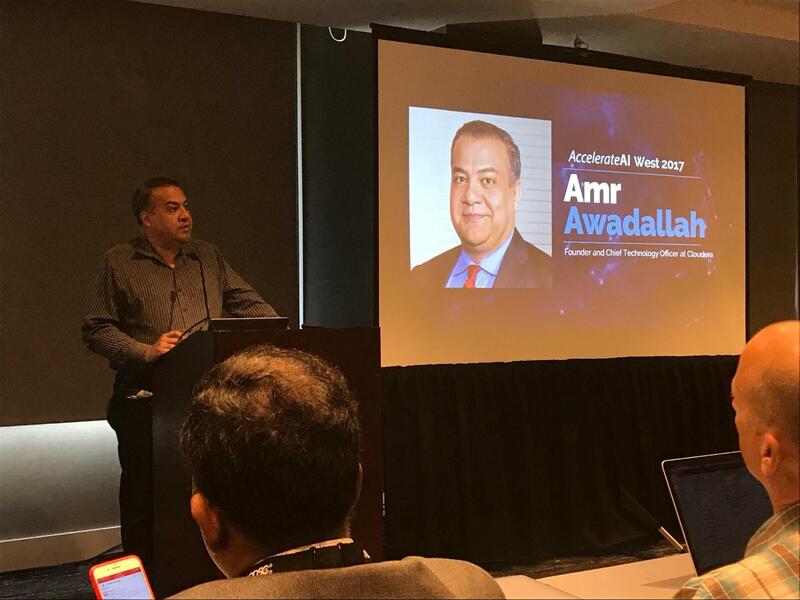 Dr. Awadallah, engaging as always, walked through the history of human decision making, the typical workflow of data science and the problems faced by data scientists especially around tools and technologies. How do humans make decisions? This is getting automated. From pre-history, we are now in the sixth wave of automation. Wave 2: About 10,000 years ago, agriculture and making food allowed humans to automate this portion of human life, freeing up time for creativity and population expansion. Wave 3: About 2000 years ago, automation of discovery happened via Math and Science and the evolution of the scientific method. Wave 4: Automation of making stuff via the Industrial Revolution that gave us the steam engines and ushered in manufacturing. Wave 5: Automation of processes brought about by the IT revolution. Wave 6: Automation of human decision making is happening today. Machine Learning algorithms are becoming better at looking at radiology results and providing diagnosis. Discussed how AI is beginning to permeate various aspects of our lives via chat bots, Alexa, Google Voice and Siri. 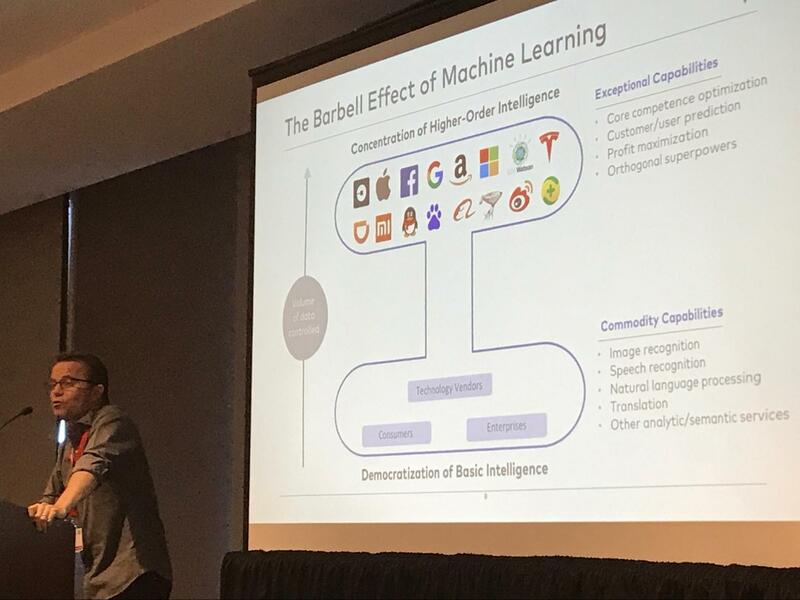 How IBM provides a platform that makes Machine Learning and Deep Learning to be more accessible to data scientists in an enterprise – the centerpiece is a new version of PowerAI. IBM’s PowerAI is the enterprise offering of the open-source frameworks to implement Deep Learning, akin to RedHat and Linux. It allows DDL – Distributed Deep Learning which can scale from 1 GPU to 256 GPUs achieving a speedup of 243x. Reality check: Not every organization needs AI which needs a significant investment and a patient waiting period, as the learning curve and ROI take time. To sell AI to your bosses, frame the model, algorithm and the solution in the language of business. What is the underlying business problem that needs to be solved? Patience is a virtue. There may be need to iterate through multiple small Proof-of-Concepts and failing before achieving success that business recognizes. Enthusiastic as always, Lucas has been coming back to ODSC multiple times. He gave the Keynote in ODSC West 2015, which you can view here. To move Deep Learning out of R&D into production, be prepared to meet a host of new challenges. DL projects are very unpredictable. Performance of algorithms tend to flat-line and get stuck. 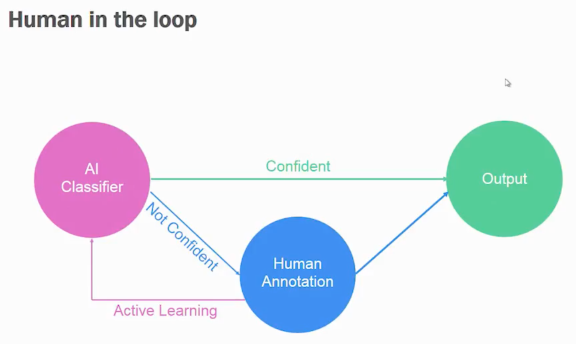 Simplest way to deal with this is to add the Human-in-the-loop. The best example was how the Post Office automated mail sorting by adding humans in the loop without waiting for the accuracy get to high nineties. Better feature engineering, cleaning up the data and more training data are added tips. Peter Norvig’s paper “The Unreasonable Effectiveness of Data” – makes the case for availability of data for more effective algorithms. Google came out with an updated version of this article this year. Active Learning and Transfer Learning are very useful design patterns to make the transition into production effective. Demanding customers are no longer happy with the traditional interfaces (websites, apps, phone calls or email). Msg.ai provides a platform that leverages AI to reach the customer where he/she is in the format/device he/she demands. Msg.ai provides Conversational AI for Marketing, Commerce and Customer Service. Three demos on how companies like Aflac are leveraging bots. On one hand, it will “… democratize basic intelligence through the commoditization and diffusion of services into software.” This will have enormous economic impact, but offer lesser opportunities for startups. One possibility is to come up with new creative services that leverage the open sources to generate value. “On the other, it will concentrate higher-order intelligence in the hands of a relatively small number of incumbents that control the lion’s share of their industry’s data.” There is a chance here for startups to “develop Machine Learning driven services in partnership with large incumbents based on the incumbents’ data.” Say, a startup teams up with John Deere to generate customized insights from all the data that John Deere equipment is collecting.